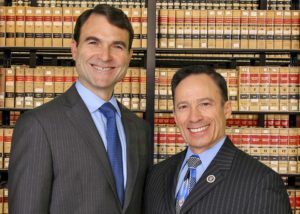 Fiumara & Milligan Law has a well-established, highly skilled, professional and experienced team of dedicated attorneys and professional staff that will work hard on your behalf because you come first! Prompt and professional handling of your case is paramount. The law firm is adept at handling all areas of personal injury law cases and our team puts your best interest first to achieve the maximum possible compensation in your case. We will be there to guide you through the overwhelming challenges and obstacles that you may be facing. We fully understand all those challenges, barriers, and obstacles and are there to help you every step of the way. Our skilled expert’s advice and our legal knowledge together with our skilled dedication will help to gain the best result for your case. We don’t leave any stone unturned! YOUR FIRST CONSULTATION IS ALWAYS FREE AND GLADLY GIVEN. Please feel free to contact our office today for a free, confidential and no obligation case evaluation to begin the process.